From the sign (approx): "wax models were an important complement to the teaching of medicine in 18-19 centuries ... These came to mexico in 1874 from Dr Leopoldo Rio de la Loza. 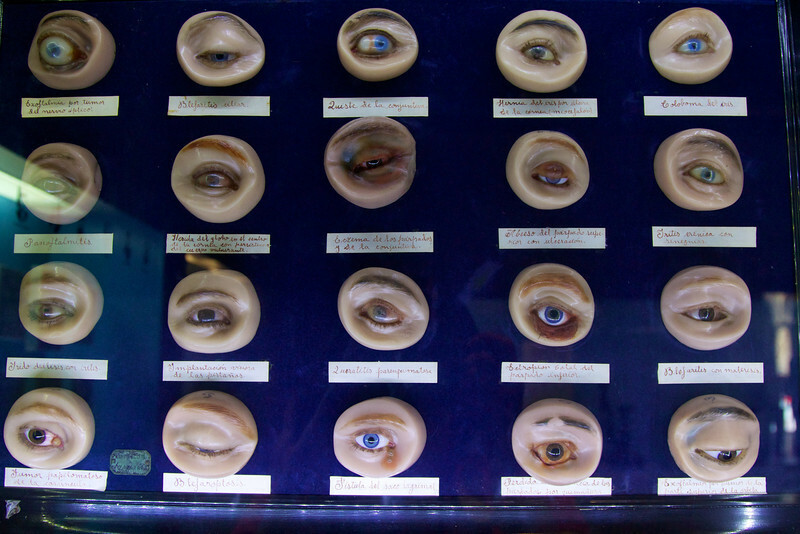 They show a wide variety of diseases affecting the eyeball and its attachments"